Contrary to repeated claims that serial protocols such as Modbus RTU and generic ASCII would cease to be used in industry, they are still alive and well. Today, as Industrial Internet of Things (IIoT) systems accelerate, there’s an increasing requirement to interface existing legacy equipment using serial interfaces (such as energy meters, data-loggers, bar code scanners, valves, mass flow controllers, etc.) with higher-level Operational Technology (OT ) and Information Technology (IT) business networks. 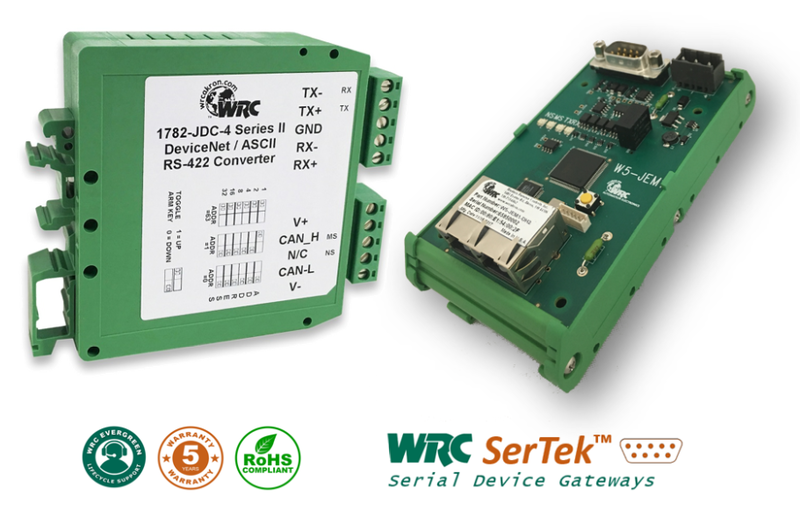 To ease the integration challenges imposed by these legacy serial devices, Western Reserve Controls created the WRC SerTek™ family of Serial Device Gateway providing cost-optimized solutions for RS-232/485 device integration. DeviceNet™is a registered trademark of OVDA® Inc.